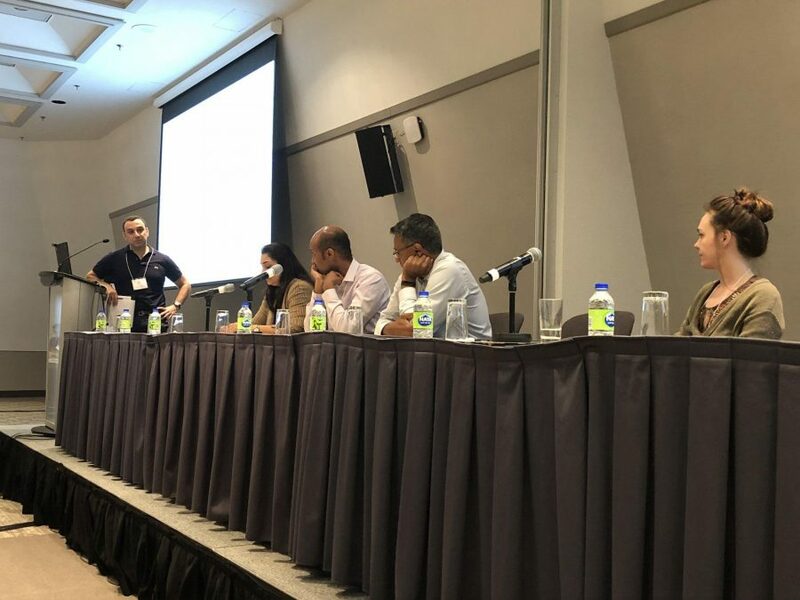 DiaDev Associated Researcher, Shona Lee, presented her research on the role of diagnostics in managing febrile illness at the McGill Summer Institute for Global Health Diagnostics. On July 7th 2015 the WHO launched the Emergency Use Assessment and Listing procedure (EUAL), a fast-track “diluted” version of the WHO pre-qualification process to guide diagnostic procurement in situations where, as a WHO representative put it, “the manufacturer will not have adequate data to make a claim”. The EUAL was developed in direct response to the declaration of a Public Health Emergency of International Concern (PHEIC) in West Africa, where an Ebola Virus Disease (EVD) outbreak had rapidly and tragically developed into a regional epidemic. A lack of available diagnostic tools to accurately identify cases and map transmission dynamics was a key factor driving that amplification a formidable obstacle to bringing it under control. Despite an unprecedented surge in development, few new diagnostic tests for EVD had reached a mature stage of development, and no existing tests had undergone premarket regulatory assessment. Ebola’s high mortality rate and transmission intensity compelled a departure from conventional systems of medical regulation and governance. Speed was of the essence, necessitating the relaxation of regulatory scrutiny and quality controls in a bid to accelerate diagnostic development and approval within the outbreak timeframe. This paper analyses how the tensions between the humanitarian imperatives of disease control and regulatory assessments of risk played out in the accelerated development, testing and licensure of Ebola diagnostics. The lack of regulation for diagnostic devices in low and middle income countries has long concerned the global health community. In addition to its implications for patient safety, regulatory gaps and rules can discourage manufacturers from investing in high-quality devices. To help incentivize the industry to develop affordable, easy-to-use diagnostic devices for resource-limited settings, the WHO developed its routine pre-qualification process, which aims to provide a transparent, scientifically robust assessment, including dossier review, laboratory evaluation, and site visits to manufacturers. But, notoriously slow and complicated, the review process is regarded by many in the industry as an impediment rather than catalyst to innovation. In recent years, the WHO has developed guidance documents, convened conferences and offered bespoke advice to manufacturers in the hope of stimulating industry interest. But in 2015, with the WHO facing a rapidly spreading EVD outbreak and a growing public outcry over their sluggish response, it was agreed that more drastic measures would be required. The exceptional nature of the PHEIC justified compromises in the quality of scientific evidence that manufacturers provided in the hope that this would encourage manufacturers with ebola-ready technology to come forward. This paper examines how these emergency measures played out over the course of the epidemic and its aftermath. It draws on document-based analysis of grey literature generated by the WHO, ministries of health, and other global health organisations, alongside interviews with manufacturers, researchers and WHO officials. Analysis focused on the criteria used in EUAL assessments, the different stakes actors held in the EUAL process, and the ethical, scientific and operational dilemmas individuals and institutions faced as they navigated a novel space of regulatory flexibility. Our analysis of the findings focuses on three thematic areas. We begin by describing the operational logistics, social and institutional negotiations, and bureaucratic practices involved in the production of EUAL evidence. Here we develop the notion of the ‘evidentiary threshold’ to elaborate the varying power of diagnostic devices to marshal public health authority and short-circuit scientific contestation. We then examine the precise nature of EUAL exceptionalism, focusing on the risks that were assessed and the places where compromises were deemed necessary. While the evidentiary threshold for analytical and clinical accuracy was often flexible, we point to manufacturing capacity and future supply as key concerns for the WHO, and consider latent tensions between market-based and humanitarian value frameworks and temporal logics in the design of the EUAL procedure. Finally, we focus on the aftermath of the epidemic, charting institutional reflections on the successes and limitations of the EUAL, and tracing the normative and technical contours of the emerging paradigm of emergency research and development. This paper explored how the tensions between the humanitarian imperatives of disease control and regulatory apprehensions of risk played out in the accelerated development, testing and licensure of Ebola diagnostics. Through the notion of the ‘evidentiary threshold’, she traced the normative and technical contours of the emerging paradigm of emergency research and development. Important questions were raised around the commitment to data sharing, lack of cross-validation and downstream challenges of gaining access to, and testing of, samples. These issues are compounded by regulatory ambiguity, lack of harmonisation, differences between minimum thresholds for approval versus deployment, and call for convergence between national regulatory structures. There can often be a disjunct between approval mechanisms that support and promote product development in the emergency context and the cross-over into the non-emergency context whereby access or further use is denied, blocked or subjected to entirely different, stand alone, regulatory paradigms. The Social Lives of RDTs: What role do point of care diagnostics play in transforming global health? This presentation explored the questions around trust that emerge when malaria diagnostic tests transgress public/private and informal/formal boundaries in public health. What is the difference between trusting an individual, a system, or a device? Do diagnostic devices reduce uncertainty? And how does the diagnosis of malaria feed into the normalization of a disease?